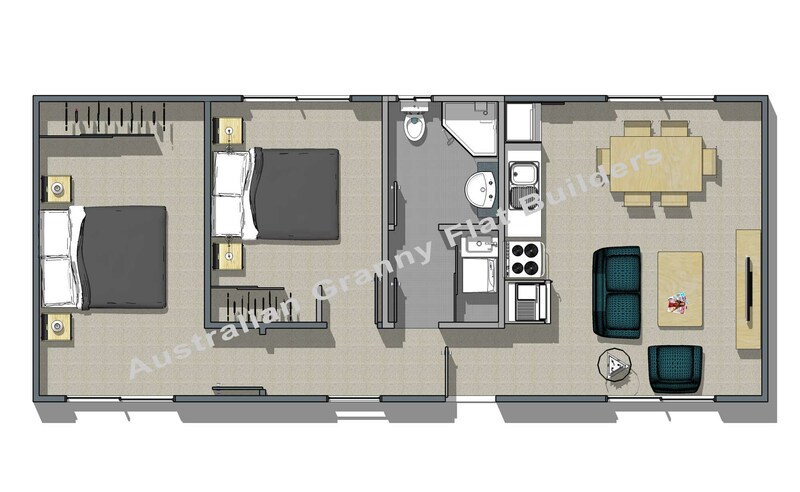 The following floor plans represent both the current Australian Granny Flat Builders “stock” granny flats as well as four of the most efficient single storey 60 square metre 2 bedroom residences available anywhere in the world. 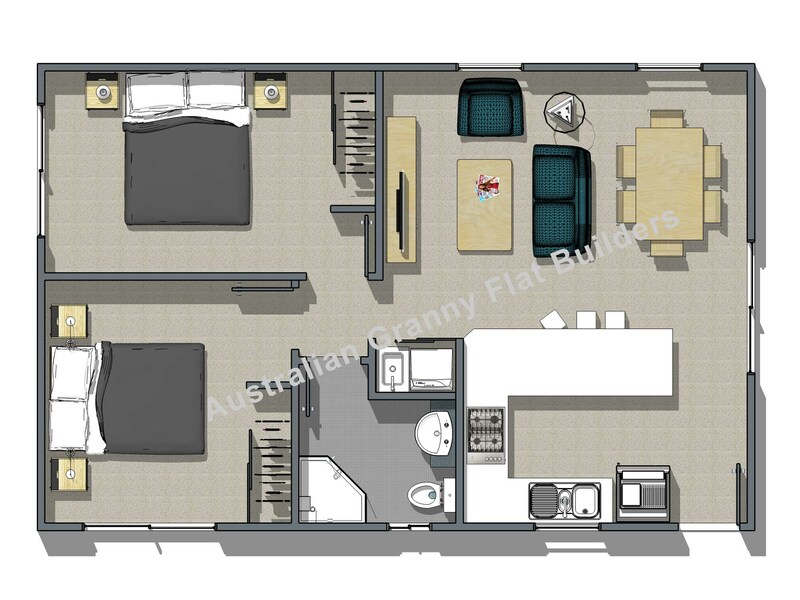 Whether you are building a granny flat to generate income or as accommodation for family members you simply can’t beat these designs for ergonomics, comfort, value and desirability. For an obligation free consultation call us on 02 8011 4307 or send us your contact details via the form at the bottom of this page. 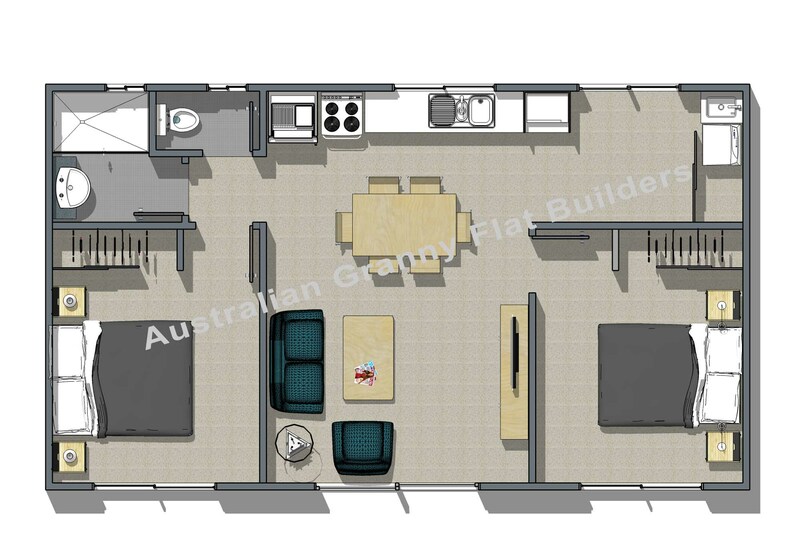 60 square metres of living space PLUS optional balconies / verandas / patios. Features 2 double bedrooms with built-in wardrobes at opposite ends of the building for maximum privacy. Large combined kitchen / dining. Featuring two double side by side bedrooms with built-in wardrobes. The designer kitchen features a breakfast bar to separate it from the lounge dining area. Featuring an extra large master bedroom next door to a double bedroom, both with built-in wardrobes. 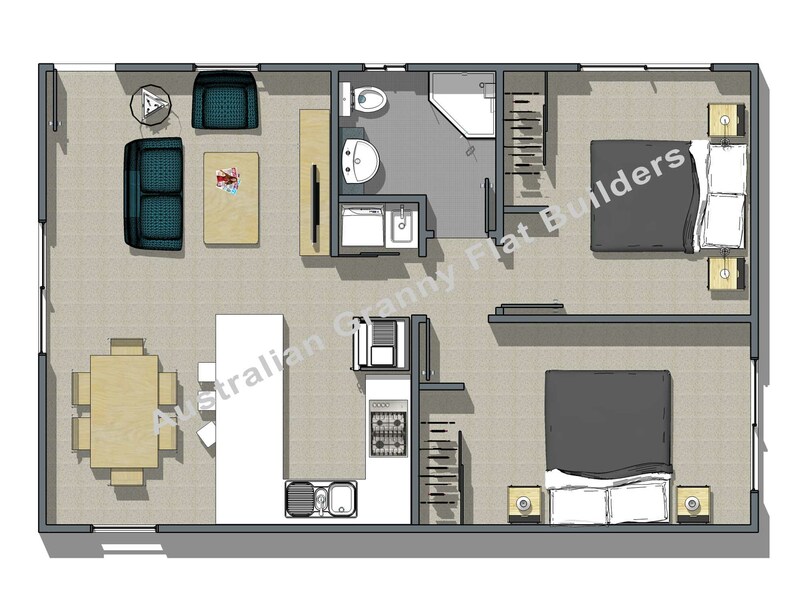 Featuring 2 double bedrooms with built-in robes and a separate lounge / dining / designer kitchen area.